Author Gwen Keane will be the after-dinner speaker at the Monday, April 15, Bluff Point Community League potluck dinner meeting. She will share her love of animals and participation in dog activities, reported secretary Barbara Kauneckas. 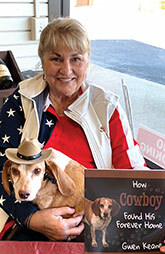 Keane will talk about her latest book, How Cowboy Found His Forever Home. 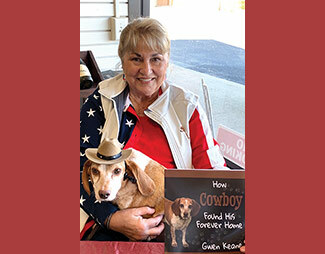 Proceeds from the sale of this book will be donated to the Northern Neck Partners for Pets, where she serves as a board member. The Bluff Point Community League meets at the former Bluff Point Graded School, 2595 Bluff Point Road, Kilmarnock. Social time begins at 6 p.m., dinner follows at 6:30 p.m. Guests and new members are welcome. Bring a dish to share.